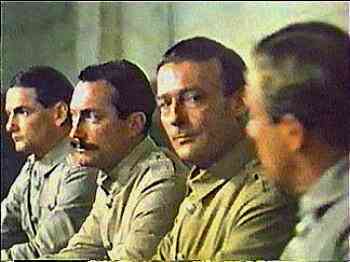 Major Thomas: The barbarities of war are seldom committed by abnormal men. The tragedy of war is that these horrors are committed by normal men in abnormal situations. Shoot straight, you bastards - don't make a mess of it! Bruce Bereford's direction and Edward Woodward's performance awaken this "sleeper" from 1980 and make it a truly memorable film experience. I was surprised to read that it was the last minute replacement for "Heaven's Gate" in the U.S. when Cimino's film was pulled from theatres just two days after its release due to the worst critical reception a film ever had. 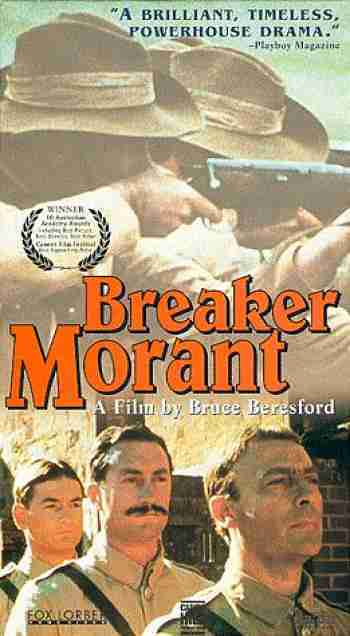 "'Breaker' Morant" surprised everyone at that point, except for those who had seen it, by becoming one of the biggest hits of the year.